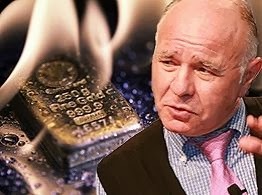 Marc Faber : The market has already adjusted, because they introduced QE3, QE4 in the summer of 2012. At the time the 10-year Treasury note yield was 1.43 percent. We are now at 2.8 percent on the 10-year. In other words, they have both assets at the end of November over a trillion dollars already this year and yet interest rates have gone up; in other words it seems that the Federal Reserve has lost control of the bond market. They can keep short-term rates indefinitely at essentially very low rate, but there will be of course some economic damages arising from zero interest rate policies.